Being close to town and right next to dive shop were the High Lights. Clean and well equipped. Not good for young children. We had a 22 mth old and did fine but needed an adult watching at all times. There is an elevator which is convenient. Location was great. On a public beach and main road but that did not bother us. Beach quietened down by 10pm and so did the traffic. Easy walk to town and to grocery. Rented bikes so lots to bike to from here. The outdoor area was spacious and quite private considering it is a ground floor apartment. Convenient location for town and dining options. A public Beach immediately in front of the building meant it was easy to cool off any time. This also meant public using the beach at all hours with the associated noise. Ligging nabij het centrum. Ruim appartement, heerlijk terras. Het mooie appartement waarin niks ontbrak. Het mooie uitzicht over zee en de centrale ligging. Wat een heerlijk schoon appartement met goede bedden, uitrusting keuken, goede wifi. 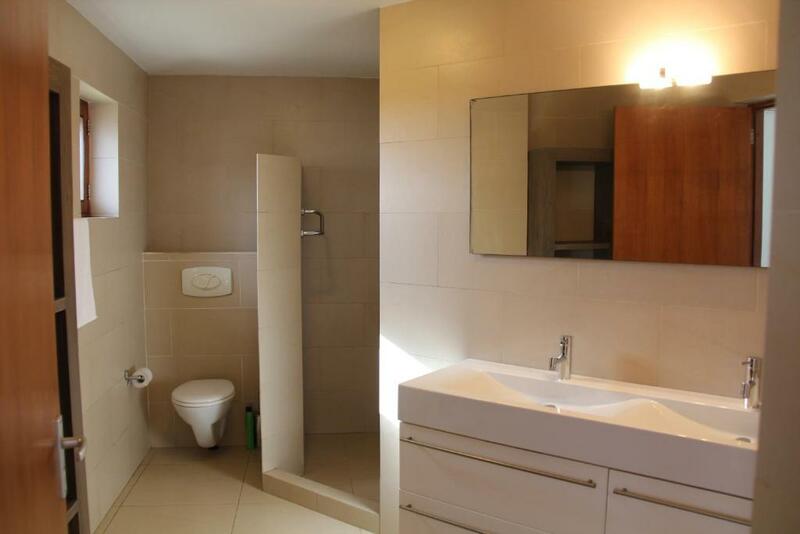 Het appartement heeft een hele fijne indeling met twee slaapkamers met elk een eigen badkamer. Derr herzliche Empfang von Caprice und die vorzügliche Abwicklung der Buchung war schon sehr schön. Wir fühlten uns gleich willkommen. Das Appartement, seine geschmackvolle Einrichtung, die traumhafte Lage an dem kleinen Strand, die wunderschöne Bucht mit den vielen Fischen zum Schwimmen und zum Tauchen wird uns noch lange in der Erinnerung sein, wenn wir nach Hamburg zurückkehren. Das Appartement hat uns sehr gut gefallen. Wir werden wiederkehren, wenn es denn möglich sein sollte. L"appartamento è molto spaziosoe ben organizzato con tutti i comfort necessari. Alicia la proprieteria ci ha accolto calorosamente dandoci tutte le indicazioni varie dell'isola. Sempre molto gentile e disponibileha fatto in modo Che il nostro soggiorno sia stato molto piacevole. Grazie Alicia!!! Lock in a great price for Bonaire Apartment – rated 8.8 by recent guests! 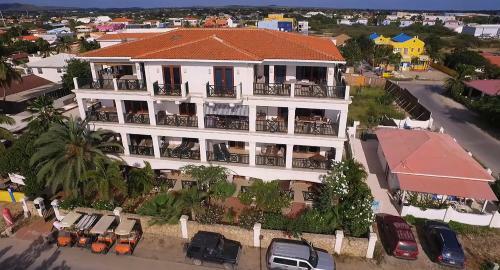 Bonaire Apartment This rating is a reflection of how the property compares to the industry standard when it comes to price, facilities and services available. It's based on a self-evaluation by the property. Use this rating to help choose your stay! 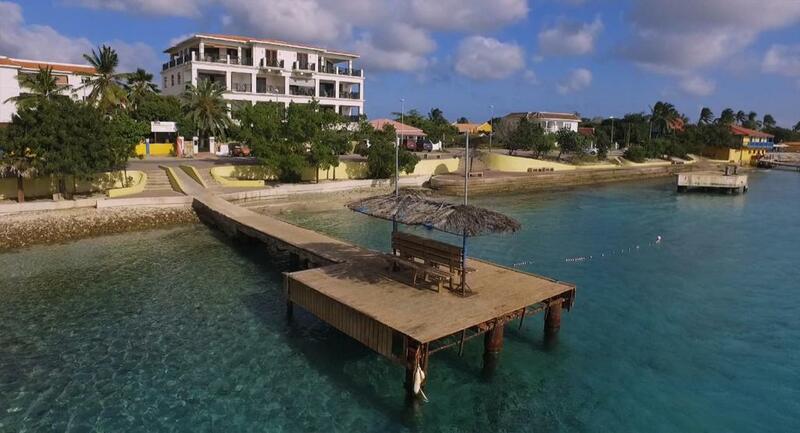 The ocean-front Bonaire Apartment is located on the main boulevard of Kralendijk and features free WiFi throughout and free private parking on site. Chachacha Beach is ideal for swimming and it is only steps away. 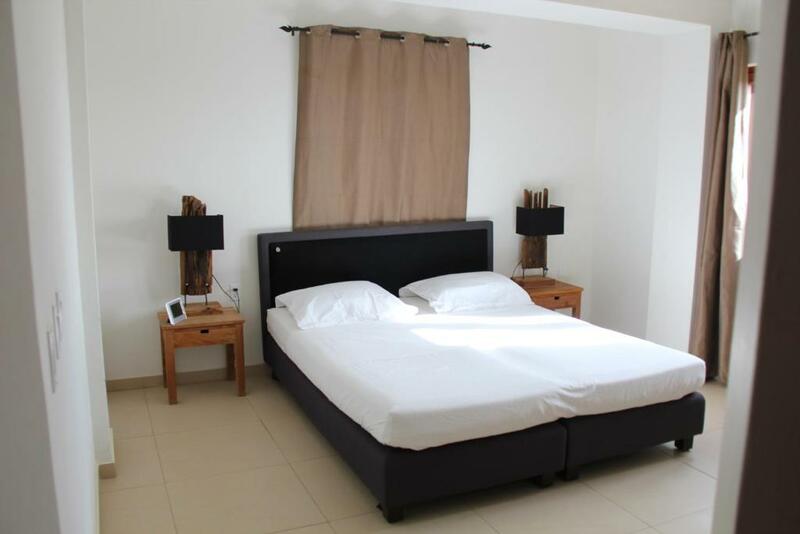 The air-conditioned apartments feature a living room with open kitchen, and a terrace with Caribbean Sea views. An oven, a microwave and toaster are also available, as well as a coffee machine. Bed linen is featured. The area is popular for diving, snorkeling and kite/wind surfing. The nearest airport is Flamingo Airport, 1.2 mi from Bonaire Apartment. When would you like to stay at Bonaire Apartment? This apartment features air conditioning, sea view and microwave. This apartment has garden and sea views. This apartment has a kitchenware, air conditioning and cable TV. This apartment has garden and sea views. This apartment has garden and sea views. I would say that what makes the property so special is the view. 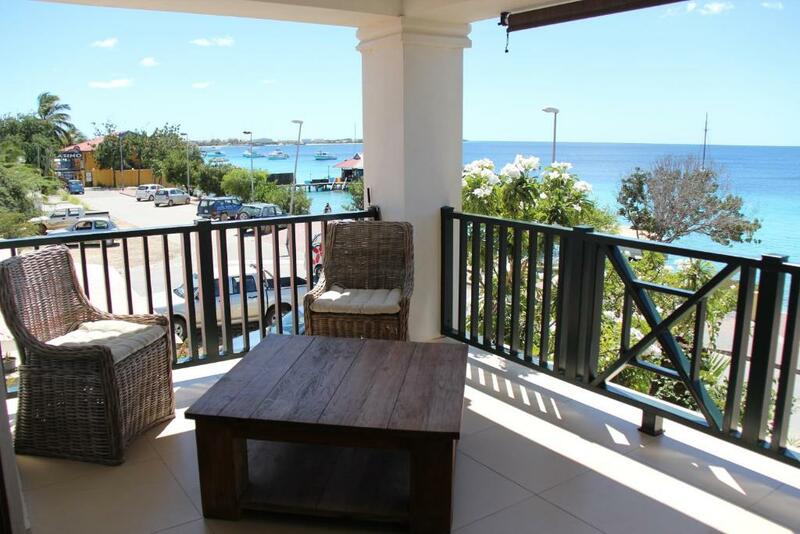 As oceanfront apartments you have a beautiful view over the Carribean Sea and the island Klein Bonaire. Besides that, the apartments are convieniently located on the boulevard of Kralendijk on walking distance from the city centre. I am in love with the island and recommend everybody to come over and live the experience of this little piece of tropical heaven! Besides being a host for my guests I enjoy every second on the island doing what I love: kitesurfing, diving, windsurfing, exploring nature on land, bird watching, etc. The apartment lies next to a dive centre, one of Bonaire's finest restaurant and a casino. Only a couple of blocks away you will find two supermarkets. The boulevard which the apartments are located on is very lively with people walking, running and enjoying the cozy beach and pier. Sometimes when waking up you will encounter a cruiseship "blocking" partlially your view. 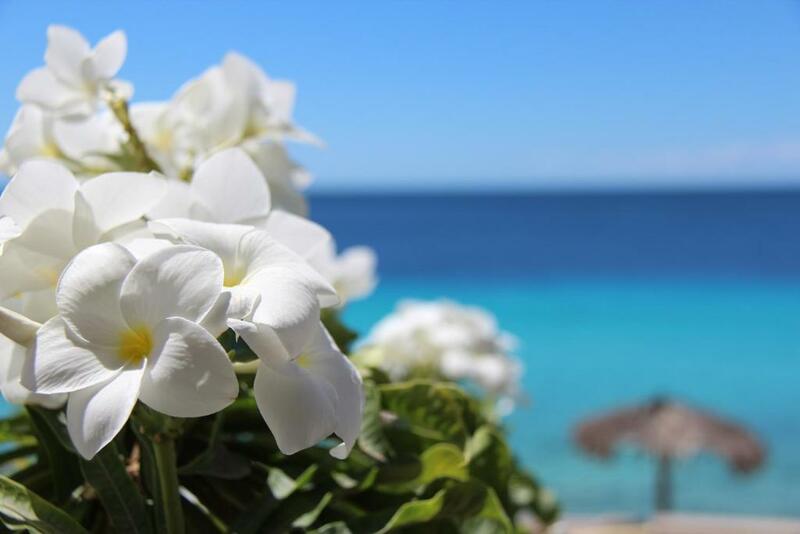 House Rules Bonaire Apartment takes special requests – add in the next step! For guests to make the reservation definitve will have to pay 50% of the rental amount in a weeks time after they booked the accomodation. The other half will be paid the latest 6 weeks before the date of arrival. Please note that all Special Requests are subject to availability and additional charges may apply. Guests are required to show a photo identification upon check-in. Please note that the final cleaning service of USD 50.00 and the weekly cleaning service of USD 35.00 (for stays longer than a week) are charged separately. Please note that a USD $40 fee is included in the rate per week for electricity and water. Additional usage of electricity will be charged at USD $0.45 per kWh and USD $5.80 per m3 water. Please inform Bonaire Apartment of your expected arrival time in advance. You can use the Special Requests box when booking, or contact the property directly using the contact details in your confirmation. A damage deposit of USD 250 is required on arrival. This will be collected as a cash payment. You should be reimbursed on check-out. Your deposit will be refunded in full, in cash, subject to an inspection of the property. The woman in charge should come and collect money for cleaning but never arrived, after we leave she started to text on the phone and she was not nice at all, she was the one doing wrong but tried to blame us, not a real plessure to meet a crazy woman like that. I ASK TO CHANGE A LIGHT IN THE BATHROOM BECAUSE DOESN'T WORK AND NOTHING...WE DID THE SHOWER EVERY EVENING IN THE DARK. SOME WINDOWS WAS BROKEN YOU DON'T OPEN IT. THE POSITION OF THE APARTMENT IS THE BEST. Walking into a fully furnished apartment you except things will all be in there place. But when housekeeping leaves ya with a less then half roll of toilet paper for 4 people that's unacceptable. When walked in to this place it smelled like it hadn't been lived in in months, old musty humid smell. It toke 4 days to air it out. The host new we were coming why wasn't it freshened up for are arrival ? O and we had dive gear Stolen from the porch. Cruise ships almost daily parked in front of apartments view of ocean. Some days no view at all. Collecting the apartment keys was a bit awkward. It was dark when we arrived, not all apartments were numbered so locating the correct apartment from which to collect the keys was difficult. In fairness it was not the regular agent who was onsite for check in. Being located so close to the shipping terminal, there was constant heavy vehicle traffic and noise during daylight hours. The cooktop was an absolute mystery to operate. The TV came on but selection of channels was inoperative. We didn't miss watching TV though. Parking at the apartment was a lottery. competition with the dive shop next door and members of the public meant there was rarely any space available at the apartment.